The use of computer generated drawing processes and inkjet printers is a popular means of expression at the Bridges conference. Some of the more interesting examples on display were created by David Chappell. 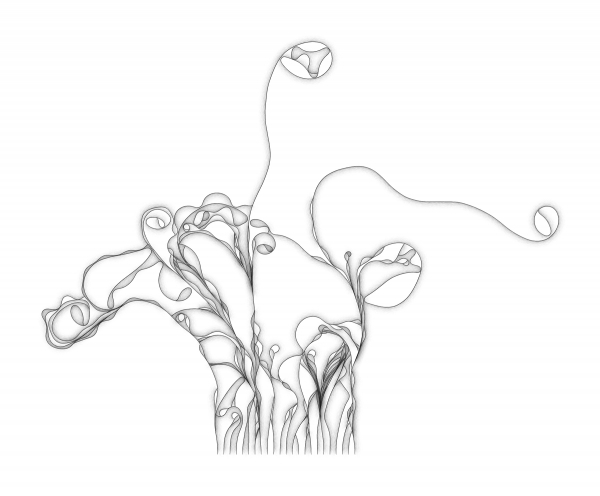 The artist builds a system of rules to generate graceful line drawings that are mathematically to related plant growth through space and time. The lines begin from a rooted position at the horizontal bottom of the picture plane and playful grow up into reaching tendrils. In order to achieve this lyrical organic quality (not an easy feat using mathematical algorithm computer generation) Chappell modifies the rules throughout the process. This extra attention allows the drawings to change and develop in a more free-form manner. Another means of creating computer assisted art is the use of laser cutting. 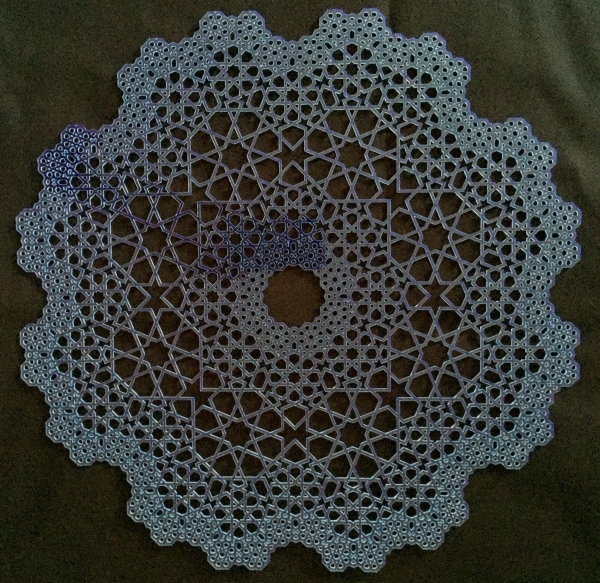 In his work “Islamic Fractal Starflower”, Pill Webster has cut a lace-like pattern into a clear light blue acrylic sheet. The mathematics behind this pattern is a combination of two geometric themes: the symmetry in Islamic patterns and the recursive properties of fractals. This combination requires some heavy weight mathematics, but Webster’s choice of materials transforms the complex theories into an ethereal presence. It has the appearance of being built from delicate and complex ice crystal. The juxtaposition between the serious mathematical generation and delicate physicality of the work create an interesting tension. Nathaniel Friedman is one of my favorite artists for two reasons. 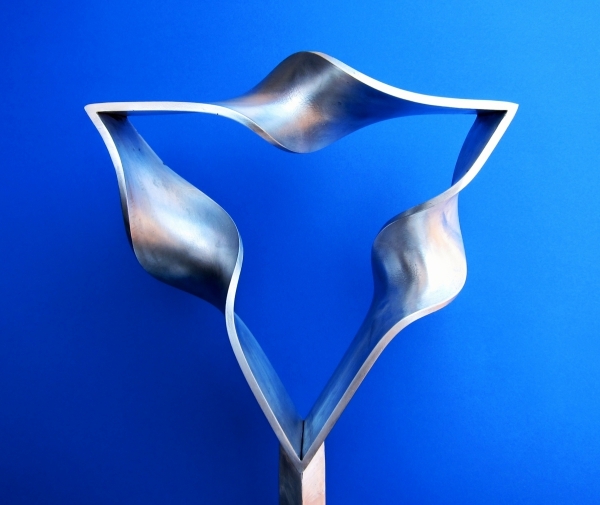 First, he creates wonderful sculptures and prints and second because he is a very supportive of other artists. As the founder of the organization ISAMA – The International Society of Art, Mathematics and Architecture, he contacted me years ago to speak at one of the first Math Art conferences. This was my introduction into a whole community of other artists and mathematicians devoted to the aesthetics of Mathematics. I will be eternally grateful to Nat.